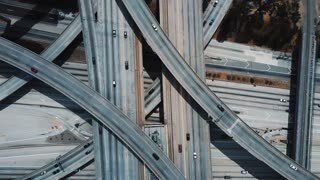 Drone flying right over multiple levels of epic highway junction intersection in Los Angeles with complex flyovers. 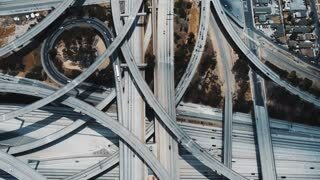 Drone lockdown shot of amazing busy highway interchange with multiple level flyovers and junctions in Los Angeles, USA. 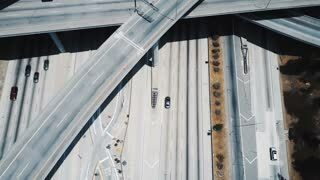 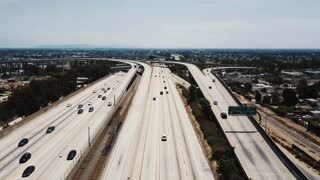 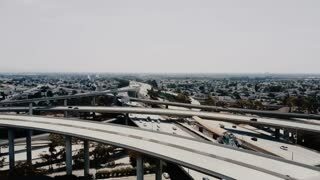 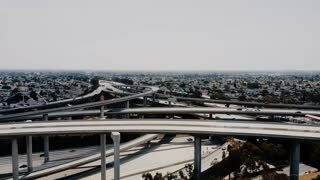 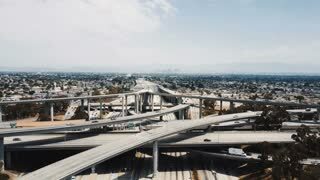 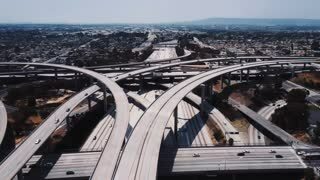 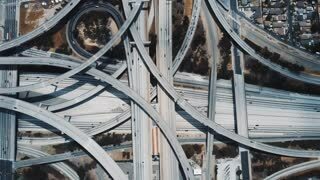 Top view drone rising above incredible complex highway junction in Los Angeles with traffic moving on multiple levels. 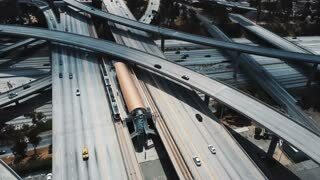 Drone moving to the right over large highway junction in Los Angeles with cars going through multiple roadway levels. 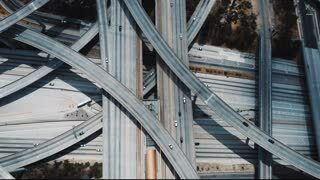 Drone flying forward over epic multiple level highway intersection in Los Angeles, traffic moving in all directions. 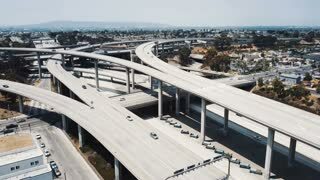 Drone ascending and spinning fast above large highway road intersection in Los Angeles with cars on multiple flyovers.